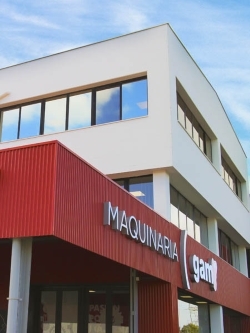 GAM, General de Alquiler de Maquinaria is a Spanish multinational company specializing in complete machinery management services. In addition to our wealth of experience in the Iberian market, where we are the leading company in our field, we also have a presence in 11 countries throughout Europe, Latin America, North Africa, and the Gulf region. Showing items 1 - 20 of 265 results. Your enquiry has been sent to GAM.